Near the hospital, Rick meets up with two police from the hospital with the rest of the group keeping watch with rifles. He introduces himself as a cop and makes the prisoner exchange proposal. Beth isn’t having it – she hugs Noah and when Dawn makes a remark about knowing Noah would be back you can see Beth snapping in her eyes. She stabs Dawn with the scissors – and Dawn shoots her in the head. Daryl responds by shooting Dawn in the head. Office Shepherd, the former hostage, yells for everyone to hold their fire before it turns into bloody firefight. She makes her people stand down, saying it was just Dawn. While Rick’s gangs fight tears (Daryl collapsing with them), Shepherd offers to let them stay. Yeah that’s not happening – Rick counters by saying anyone who wants to leave can leave with them. Glenn, Maggie, Michonne, Abraham et al arrive in the fire engine. Maggie’s look of hope fades as she sees them come out and she cries when she sees Daryl carrying Beth’s body. Well that was a dramatic midseason finale for the Walking Dead, certainly maintaining the themes they’ve upheld so far. So let’s chew on a few of these. Rick. In general this storyline really worked with both the characters they met and Carol, Daryl, Beth and occasional others really selling the conflict. On Abraham and Rick: Both these characters don’t interest me a whole lot. Both tend to assume leadership when there’s no damn reason for it, neither are particularly qualified and both are trying to rehash moral conflicts that they’ve either a) already gone through or b) other characters have done better. They’re also both prone to big emotional moments while everyone else gets on with things. I think that’s a pointed comment on which characters can be enraged/break down/whatever and still be viewed sympathetically by the audience. While everyone else has to work through things, they get their Manpain. On Tyrese, Michonne, Glenn and Maggie: I’ve put these together as criminally under-used this season. Every now and then we get glimmers – like Glenn talking sense into Abraham or Tyrese’s moral conflict or Michonne’s conflict over her sword and being a weapon but none of them have done much more than be backing characters – Michonne and Tyrese frequently taking the role of child minders. It’s a terrible waste to have these characters lurk in the background and be so utterly underused. On Beth: I quite liked the whole character growth this season. Honestly it has been no secret that we haven’t been a fan of she-who-has-taken-to-her-bed and we certainly didn’t miss her. But she came into her own this season, she showed strength and growth, she learned when she was no longer able to shelter in the group and became a pretty decent character. Then died – I do sometimes think we get this kind of growth on previously forgotten characters to ensure that their deaths have more meaning; after all, if she had died at the beginning of this season we’d probably have cheered. On the death of Bob: The Walking Dead has done a classic thing when it comes to dying minorities – it has painted itself into a corner. This is a show where people WILL die. It’s a given. Most of the current cast are going to die, and we will have regular deaths to remind us of this. But the way those deaths are treated are very different. When a major cast member dies it’s suitably dramatic to have a big sad-music scene and be a season finale point – see the death of Beth. When minor cast members die, it’s sad – but it’s another episode (T-Dog, Bob, Oscar… oooh is there a pattern there?). this is understandable, you need constant death to maintain the horror of the setting, but you couldn’t kill off, say, Daryl or Carol without a BIG DRAMATIC scene about it. There probably does need to be two categories of death for story telling purposes. The problem is that the integral, most developed characters on this show are largely White while the less developed, side “expendable” characters on this show are largely POC. Even now, looking at the survivors in the “expendable” category who haven’t been that developed and haven’t been around that long and we have Noah, Rosita, Sasha, Tara, Gabriel and maybe, maybe, Eugene and Abraham now the Washington storyline is done. I wouldn’t say even Tyrese is safe. The only POC in the “this death must be MAJOR” category are Michonne and Glenn – the other MAJOR DRAMATIC DEATHS, Rick, Karl, Carol, Maggie, Daryl are white. Again, The Walking Dead is writing themselves into a corner where the next expendable death will probably be another POC because of the disproportionate way characters are written. 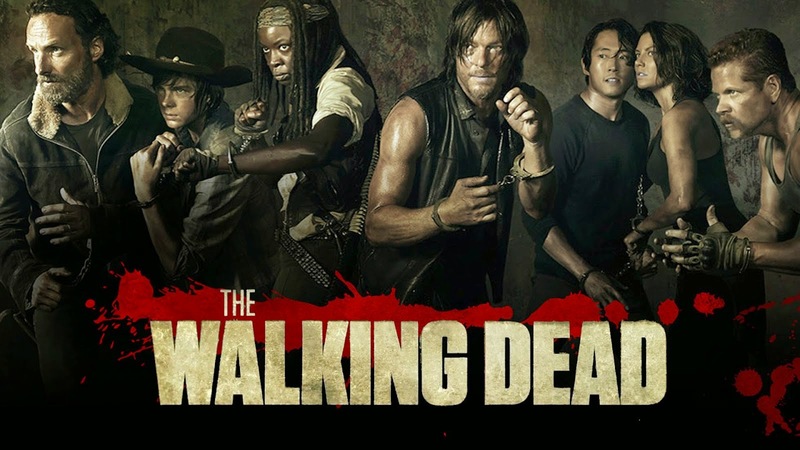 Before this season began, social media was all aflutter because various members of the show hinted at Daryl being gay, even Norman Reedus claimed he was playing Daryl gay. Well, the show creators have now confirmed – after the midseason finale – that Daryl is straight. This kind of attempted media buzz is not ok and pretty homophobic – especially when we consider how utterly unused Tara is.